We MAY NOT be the most expensive member of your wedding team — however we MAY BE the most costly! Have you ever sat through one of those painfully awkward or loooooooong ceremonies? I have! Traveling to my nephew’s destination wedding – they had booked a site unseen rent-a-minister as part of their wedding venue package. My attendance was merely as a guest anticipating a fun family weekend of cheering on my nephew and his bride to be. Tension was in the air as I arrived; more so than the normal day of jitters. Summoned by my sister I quickly assessed an officiant train wreck in the works! A late arrival, no pre-ceremony assurances, lots of uncertainty. 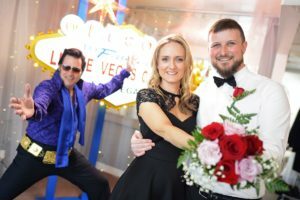 When he entered, his appearance was disheveled, and the cake topper was his Mickey Mouse tie — no joke! Sitting in the audience the delayed start didn’t overly alarm me. However then came the tap on my shoulder. My sister, the mother of the groom was near in tears. Confusion, inexperience, lack of skill, miscommunication…you get the picture. #officiantfail No rehearsal, no processional plan, no assurances and calming words to the couple. 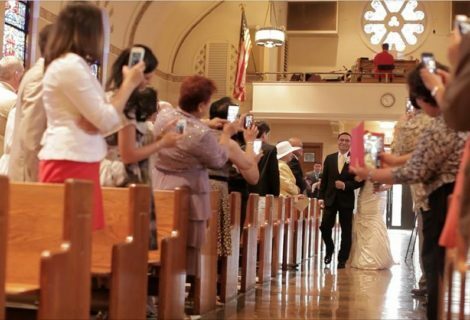 As I arranged the processional and launched them down the aisle, I slid into a seat on the back row for what unfolded as a painfully awkward ceremony replete with cheesy humor and long Scripture readings. How do you avoid the rent-a-minister woes? Here’s a quick top five “must haves” from someone who has officiated at over 500 weddings in my near forty years as a pastor and officiant. Experience – You invest in experience or you pay for inexperience. While uncles, and cousins, and friends CAN serve as your officiant — do you really want your 13 year old nephew acting as your DJ because he really likes music! Reviews – Goes hand in hand with experience. 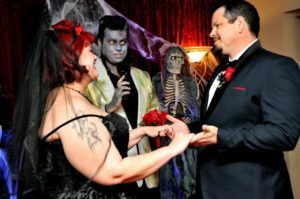 Excellent officiants have excellent reviews and lots of them. Flexibility – One size does NOT fit all (just like wedding dresses) 🙂 I often say to couples it’s your wedding not mine — and with that it needs to reflect who you are, your values, wishes and character. YOU create your ceremony with the guidance of your highly experienced and reviewed officiant. Meet up – Crucial is the opportunity to meet your officiant, most the time in person and occasionally by teleconference if you’re out of town. First impressions are lasting impressions and you usually know within the first few minutes if you’re talking with the right person. Chemistry – I get it, everyone has a “vibe and feel” they are wanting in their ceremony. I ALWAYS want to be the officiant that can match that — however, I want you to have the person that fits you. Occasionally that’s not me, and good for you finding your fit! I don’t alway like the term vendor or even worse rent-a-minister but I get it. My hope with couples is to establish a friendship and connection that I might serve you not only on your wedding day, but in the days ahead as you might need a listening ear or trusted guide in life. If you think I might be a good fit for your, let’s talk!